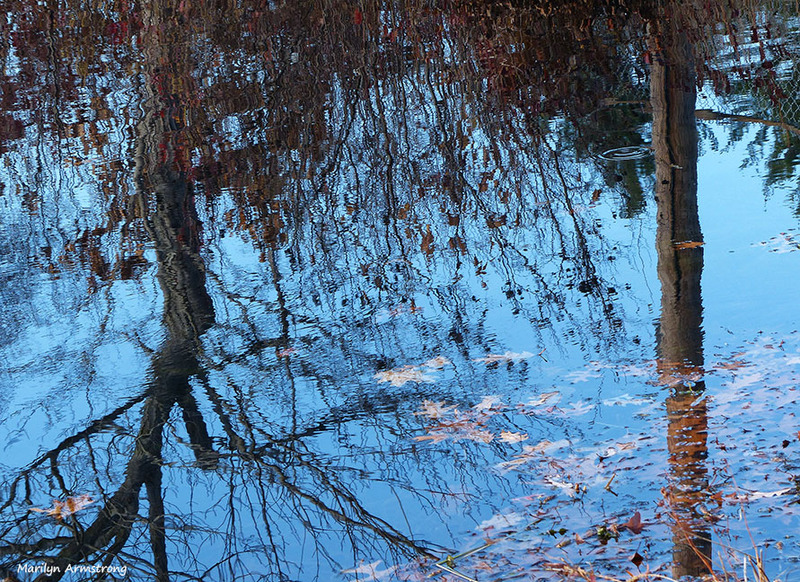 When the water is still and the sun is bright, a pond or lake can be a mirror. Here is the world in mid-November, upside down. With ripples.